After a life filled with destruction of others and himself, and his body ravaged by disease, there's only one thing left for Javier Calero to do. Leave a legacy that will finally bring meaning to his life—and to the death of an American president more than fifty years ago. The CEO of a green energy company is murdered behind his million-dollar estate, his neck nearly severed in two. Recruited to aid the widow and find a savage killer, Booker finds himself in the middle of a family train wreck. 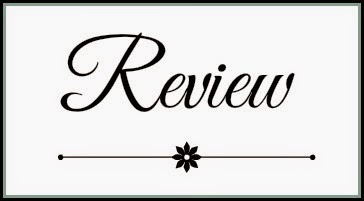 Days later, thrust into the crossfire of a deadly sniper, Booker eludes sure death with the uncanny arrival of a young woman who only wants to save her father from harm. But she can't do it without Booker's help. Joining forces with a Latin spitfire, Booker and his new sidekick, Maggie, embark on a twenty-four-hour quest to hunt down a killer determined to make an indelible mark on history—just like the one that struck down John F. Kennedy a half-century earlier, which launched a cascade of assassination investigations and theories. 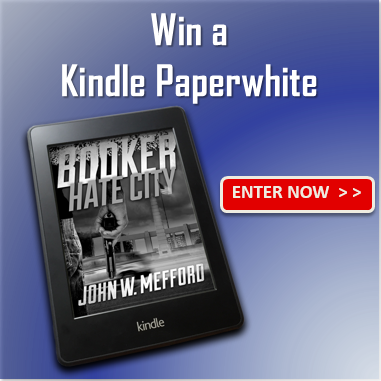 BOOKER - Hate City weaves a historic tale of thrills and suspense, examining the justifications of the unjustifiable. 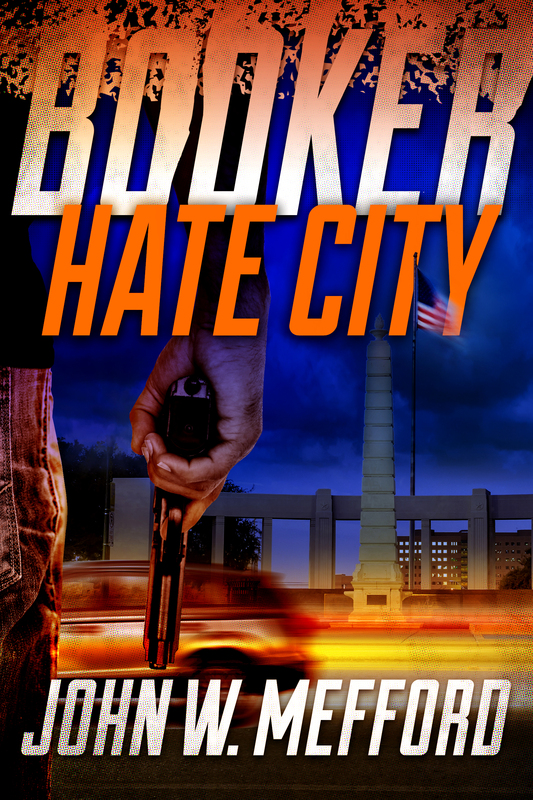 Booker Hate City is the third book in the Booker series and can be read as a standalone. I must admit I was a bit wary about continuing the series as I did not enjoy the second book as I was hoping I would. However, I am glad I overcame my scepticism as after completion of this installment my faith in the series as been renewed. Booker was working on a case that involved the theft of JFK assassination memorabilia when he was presented with another case. This case involved the murder of the CEO of Evergreen Energy company. Now when a second murder was committed, Booker is forced to utilize all his resources to determine if the murders are somehow connected. 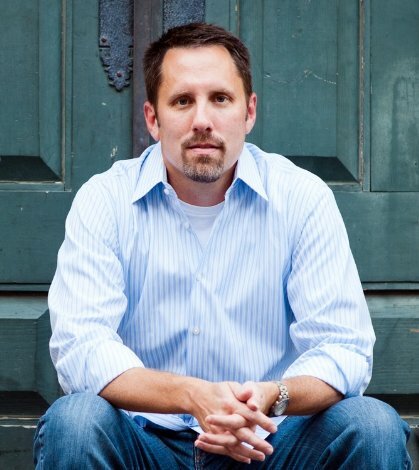 In trying to solve the case he joined forces with Maggie Calero, a former DEA agent turned private investigator. They met when she prevented him from shooting a sniper. Her reasons for being involved in the investigation was more of a personal nature than a professional one. What followed is a story of explosive proportions. As usual the characters were well developed and easy to relate to. The story was action filled and very suspenseful. The story was filled with so many twists and turns your head would spin. It kept me on the edge of my seat from start to finish. They were some humorous events that had me laughing out quite a few times . There are several cases taking place at once, however, as you get deeper into the story you realise the significance of this. It appears that the cases are connected but to find out how, you will need to get a copy of Booker Hate City. This was a fascinating and exciting read. Fans of mystery, suspense and thrillers would enjoy this tale. I am looking forward to the next book in the series. On a cool October afternoon, the majestic blue sky above Dallas is polluted with swells of gray smoke, carrying shattered memories of fifteen people, mostly children, who've just been killed by an explosion on a bus. A white supremacist group claims responsibility, opening old wounds, turning neighbor against neighbor--fracturing the community. A Southeast Dallas native, Booker T. Adams couldn't be more invested in the city…in the people he'd served for the last seven years as a beat cop for the Dallas Police Department. Without warning, it becomes personal for Booker on so many levels. And as panic grips the city, he must decide how much he's willing to sacrifice to end the chaos. With his career called into question and his family in the crosshairs of one terrorist act after another, Booker invests every fiber of his being to protect a broken community, and to stop the brutal, senseless slayings. If he fails, terrorism will reign in the city of Dallas. A performance for the ages. Courtney Johnson brings the house down in the heart of the vibrant Dallas Arts District. Later, shrills pierce the hallways of Wyle Theater when Courtney, a budding Broadway musical star, is found dead, a single bullet to the head. Driven to find the killer before panic tears apart the arts community and all those who support it, private investigator Booker T. Adams discovers evidence of a professional hit, then uncovers a lovers ' triangle that takes him all the way to the mean streets of Boston. And then it happens again. Another performer killed, someone Booker had met. Rocked by the shocking murders, performers and patrons alike fear that a serial killer is on the loose, and no one knows when and or where another dead body will show up. But professional obligations quickly morph into personal vendettas. 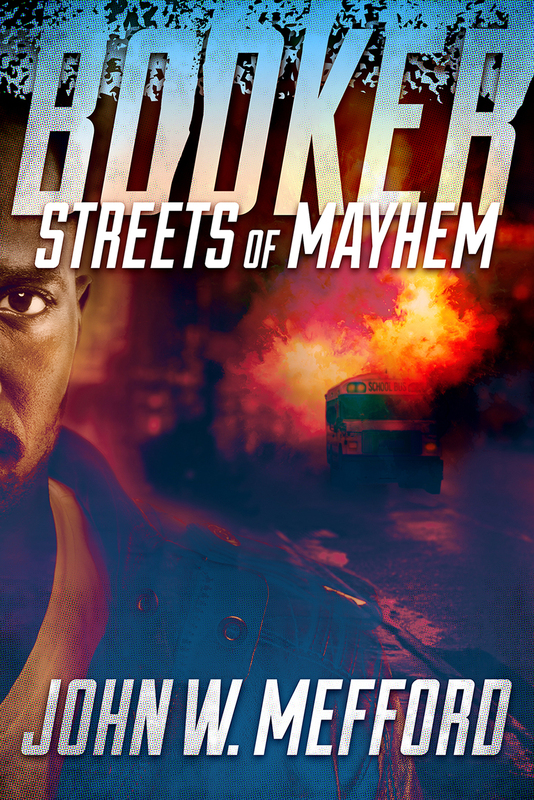 Running against an unforgiving clock, Booker is forced to solicit the help of a crime boss, The Shark. With his life threatened at almost every turn, and his heart being put through a meat grinder, Booker taps into every resource at his disposal to stop more than just a killer. 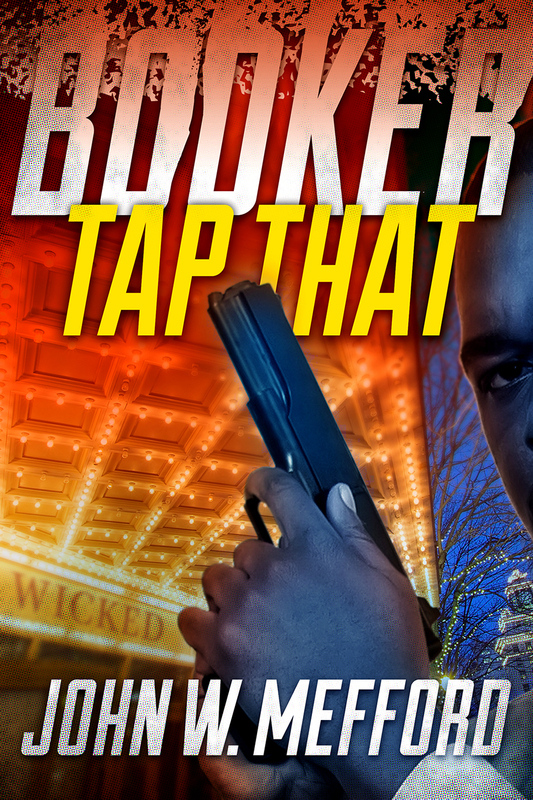 Full of unforgettable characters, bone-chilling suspense and stunning thrills, BOOKER - Tap That is a wild ride that will test even the most fervent reader's quest for a luminous reading experience. This one was way better than the second one. But they are all good to me. I loved the first and the third.